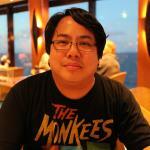 MPAA Rating: PG-13 for intense sequences of fantasy action/violence and peril. Running time: 127 minutes. Released by 20th Century Fox. Miss Peregrine’s Home for Peculiar Children may be summed up by this simple statement: Tim Burton does Guillermo Del Toro. 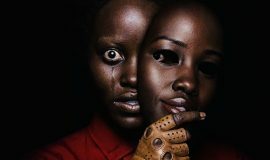 That notion alone is worth a trip to the cinema to catch this larger-than-life spectacle of fantasy, horror, and adventure, as the film blends the best of Burton’s whimsy found in Edward Scissorhands (to be sure, there’s a nod to that film in there if you look) and Del Toro’s nightmare visions from Pan’s Labyrinth. Based on a series of novels by Ransom Riggs, Jane Goldman’s screenplay aided by Burton’s visuals takes us to a place where good meets evil, and it’s every bit as fantastic, thrilling, scary, and exciting as you’d think it could be. Riggs’ novels are tailor-made for a large screen adaptation, and who better to do it than Burton, a man who mixes delights with frights on a regular basis? Pee-Wee’s Big Adventure may have been a lighthearted romp, but I remember being terrified of what Large Marge turned into at one point. He’s been doing this kind of thing since then, and Riggs’ story of a boy caught in the middle of a hunt between innocents and evil suits Burton well. 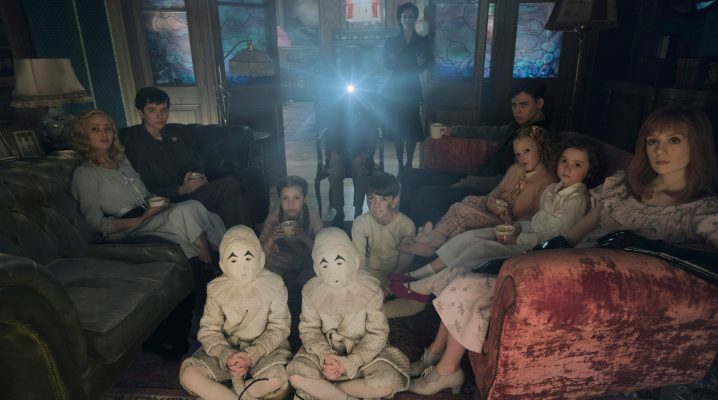 From the lavish set design of the titular Home for Peculiar Children to the performances by the main cast to the photography which captures it all, Miss Peregrine’s Home for Peculiar Children finds Burton firing on all thrusters and making his sturdiest, best film since Big Fish (in my opinion, with deference to my friend Christian Hamaker). Heading up his cast is Asa Butterfield as Jacob Portman, a high-school teenager who – like other teenagers – just wants to fit in and be noticed. However, Jacob’s not like the rest, as evidenced by his parents’ (Chris O’Dowd and Kim Dickens) neglectful upbringing and his seemingly foolish attachment to the stories his grandfather Abraham (Terence Stamp) told him, all of which get him labeled as the class kook. While Jacob’s dad Franklin represents the selfishly cold and real, Abraham and his stories give Jacob a reason to believe in the extraordinary, a belief yanked mercilessly from him as the last skins of youth shed and give way to the construction of the hardened armor of growing up. More and more, Abraham’s ramblings seem more improbable, and possibly from a dementia-riddled mind. With the encouragement of therapist Dr. Golan (Alison Janney) and his couldn’t-care-less parents, Jacob decides to check out Abraham’s stories… all of which were true. The rants of a supposedly-feeble-minded man weren’t rants at all… they were warnings. 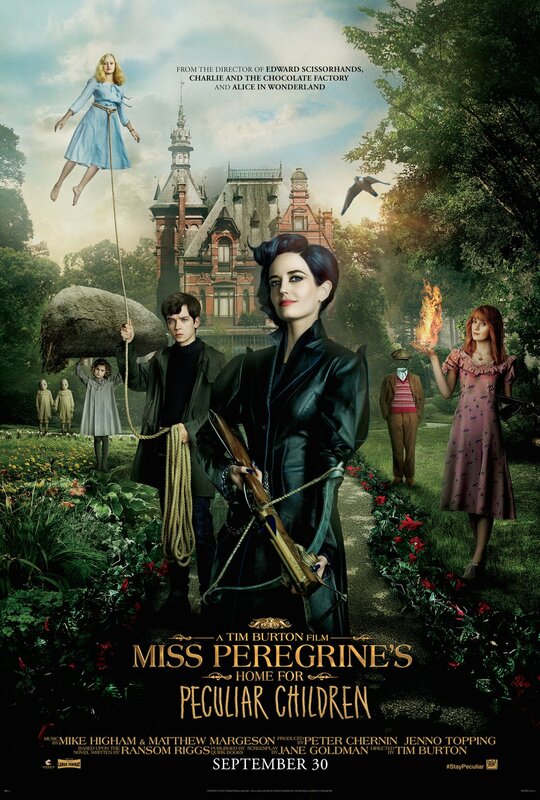 And now, Abraham’s responsibility has passed to Jacob – he must protect Miss Peregrine (Eva Green) and her young charges at her orphanage from creatures and men, led by a Mr. Barron (Samuel L. Jackson), who seek them for the most sinister of purposes. That’s more plot than I’d like to divulge, as I was taken completely by surprise by how captivating and horrifying this movie can be at differing turns. 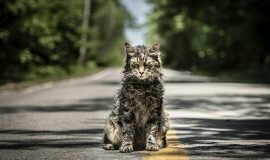 I have not read the novels upon which this film is based, and I suspect those who have will take issue with me mentioning something or someone in one of the above two paragraphs and call it a “spoiler.” But going into this film blind let me experience a darkly magical film which alternated the wonder and innocence of childhood and safety with the horrors of adulthood and greed. One could say the entire film is about how impossible it must be to maintain said innocence in the face of a changing world. The children – with “peculiar” traits such as an eye which can project fortune-telling images, an extra mouth in the back of one’s head, control over life and death for inanimate objects, and being able to manipulate heat and air – are representative of the kinds of monsters we have in our childhood imaginations, but given human form. The adults are either there to protect them or rob them of their lives, and when the monsters’ origins are revealed, the metaphor makes perfect sense. Note the three things the evil creatures take from their victims; they’re the most important things anyone can have, and one such scene featuring a morbid feast of sorts will make you squirm uncomfortably. Yes, I made the mistake of bringing my 6-year-old daughter to this film based on the trailers, which made the movie out to be a fantasy world of unbelievable things. This is partly right; the rest is often scary and violent, which is not without reason, as Miss Peregrine and her children are fighting for their very existence. Eva Green is sharp in her role as the leader of this motley crew; picture Mary Poppins if she smoked a pipe and was employed as a hangman. Her gallows humor and clipped nature often betray the fragility of their circumstance, where if one thing goes majorly wrong or if someone’s not precisely on time, her world would be destroyed, and the children along with it. The story and its machinations are fascinating; so, too, is the work of Burton and cinematographer Bruno Delbonnel. The photography is lush and vibrant in Miss Peregrine’s world, which is contrasted with the bleak, washed-out tones of the real world. Supported by wondrous special effects, a dedicated cast, and an equally lively and animated score by Michael Higham and Matthew Margeson, the film pops and dances as Jacob discovers not only the secrets of Miss Peregrine’s world, but those which lie in himself. 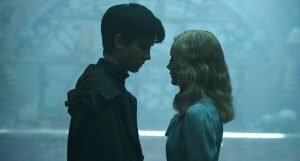 Burton takes us in, out, through, around, up, down, and sideways through Miss Peregrine’s Home for Peculiar Children, and it’s a place I’d love to revisit.